Consumers today are becoming not just more connected, but hyperconnected. We are increasingly connected to the internet and the objects around us are also becoming ‘smarter’ and more connected. In the next the number of connected devices around the globe is expected to hit anywhere from 50 billion to a staggering one trillion in the next five years alone. 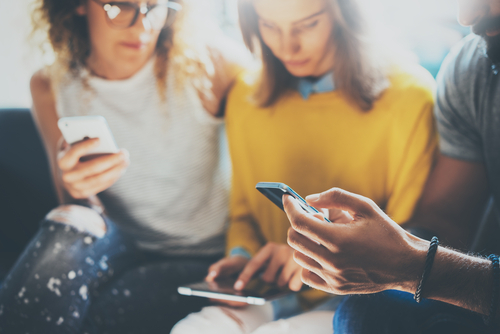 With the possibility of interacting from anywhere and from multiple devices, consumers have come to expect the ability to interact with brands on every channel available to them. Those devices range from desktop to laptops, mobiles and smart devices people use on a daily basis – wearables, car navigation and entertainment, and even home appliances. While multiple channels bring massive opportunity for marketers to interact with potential customers, it also brings with it challenges in creating and delivering a powerful and memorable customer experience effectively. According to Frost & Sullivan, in 2020, the customer experience will beat price and product differences in terms of convincing the customer to opt for one brand over another. Customers will, if not already, choose companies that offer them hyper-personalized and differentiated experience. Studies show that a moderate improvement in customer experience (CX) would impact the revenue of a typical $1 billion company an average of $775 million over three years. In addition, 81% percent of consumers want brands to understand them better, 67% of consumers say they will pay more for a great experience, while loyal customers are seven times as likely to be enticed by an offering, five times as likely to buy again and four times as likely to refer. And these findings aren’t going unnoticed, marketers do seem to be on the same page with 77% recognising and believing that real-time personalization is crucial to customer satisfaction however 60% struggle to actualise this. So, with this new generation of traveller, who is hyperconnected and increasingly expecting personalized experiences, how can hotels connect the dots so that they constantly and consistently communicate, engage and delight customers across multiple channels, formats and device types? Emerging technological solutions allow hoteliers to provide a more personalized service offering by providing a timely, convenient bridge to augment communication and ultimately the customer experience. By leveraging and utilizing modern technology, hoteliers can understand the guest better — at the most granular level. With the help of integrated, digital-savvy platforms such as mobile PMS and CRM software, hoteliers can access a dashboard with organized data from all channels. This not only curates a personalized view of each guest, but also helps to offset operational load. With certain communications and touch-points going digital, guests are treated to a more efficient experience and staff are empowered to connect with guests on a more personal, memorable level. These platforms can also monitor social behavior and influence the lifetime value of current and prospective guests, collect data on industry trends, track purchase behavior, identify targeted upsell opportunities, measure performance, and ensure messages reach the right guests at the right time and through the right channel. Using data as the voice of the customer hoteliers can generate a 360 degree view of each guest and effectively deliver a unified, personalized, hyperconnected experience that is relevant and homogeneous across all channels. Those brands that can provide a consistent experience will not only remain relevant, but also strengthen guest loyalty, motivate return visits, increase average daily rate and drive incremental hotel revenue. One thing is for certain, customers are already hyper connected, what about your business?